With the development of economy, China’s aging population is deepening, and the phenomenon of “getting old before getting rich” appears. The problems of large demand, insufficient supply and shortage of funds for old-age services are more serious. With the strong support of the state, rele-vant institutions have been steadily built. But in the process of operation, there are still many problems that need to be solved urgently. 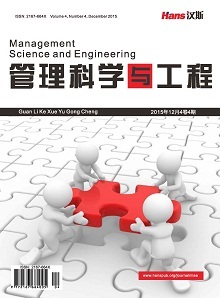 Based on the current situation of China’s pension service industry and the advantages of the population’s pension needs and PPP model, this paper uses literature analysis, comparative research and questionnaire survey to analyze and study the development of PPP pension model, and puts forward feasible policy recommendations. 吴斌. 联合国预计中国人口老龄化 2035年将超美国[N/OL]. http://news.sina.com.cn/c/nd/2016-07-06/doc-ifxtsatm1465414.shtml, 2016-07-06. 刘腊梅, 路丽娜. 城市老年空巢家庭现状及对策分析[J]. 护士进修杂志, 2011, 26(18): 1707-1709. 郭芳芳. 我国以房养老发展的可行性分析[J]. 劳动保障世界, 2019(2): 35+42. 郭敏, 方梦然. PPP模式与养老服务[节选] [Z/OL]. http://www.cpppc.org/zh/plt/6699.jhtml, 2018-04-11. 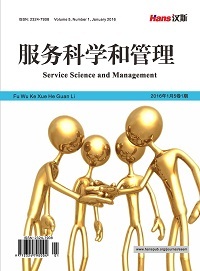 康蕊, 江华, Leeson, G. PPP模式下我国养老服务投入的经济适应性研究[J]. 经济问题探索, 2018(9): 52-61. 苏惠玉. 浅析经济开发区基础设施项目融资策略[J]. 会计师, 2015(14): 39-40. 周正祥, 张秀芳, 张平. 新常态下PPP模式应用存在的问题及对策[J]. 中国软科学, 2015(9): 82-95. 付志惠. 居家养老服务市场化的可行性研究[J]. 市场研究, 2018(8): 19-21.